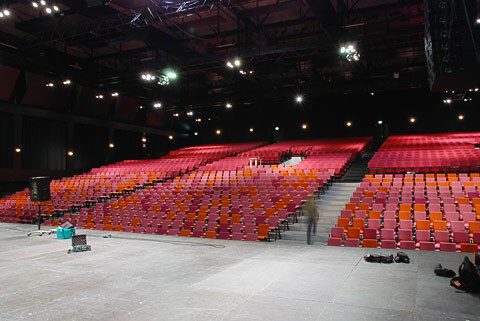 The Original Vredenburg Concert Hall, also part of the Altiverb Impulse Response Library, is being rebuilt until the year 2012. In the mean time symphonic concerts in Utrecht the Netherlands are held in this completely new Vredenburg Leidsche Rijn hall, also known as the Red Box. The large hall sounds open, warm and balanced, and surprisingly loud for its size and appearance. Audio Ease had plenty of time to create a wide variety of impulse responses. There are seven speaker positions on stage, one center stage, and 3 sets of stereo speakers, in various combinations with 8 microphone positions. and DPA 4006 TL microphones.